Halloween is over so it’s OK to mention Christmas right?! Over the past few weeks, I have been looking around for some great ideas for Christmas presents for people who love items for their home. Things that are a little different and from brands you may have not even heard of. These are such an ‘Instagram made me do it’ product but I love them and love it even more in the black and gold. 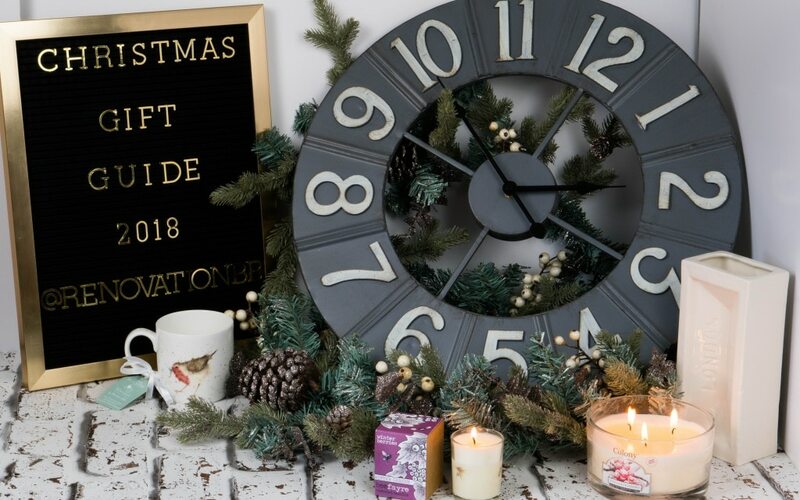 This letterboard comes from Hurn & Hurn which are a brand who loves unique and original items, perfect for both your own home or gifts. With the motto ‘Discover the Unusual’ you will be bound to find something unique! This letterboard measures H40 x L30 x W2cm with 180 gold letters and numbers to create your own personalised messages. I love the gold as I think it really stands out against the black board. It fits perfectly in this gift guide! I don’t think you can go wrong with a candle as a gift in the Winter. 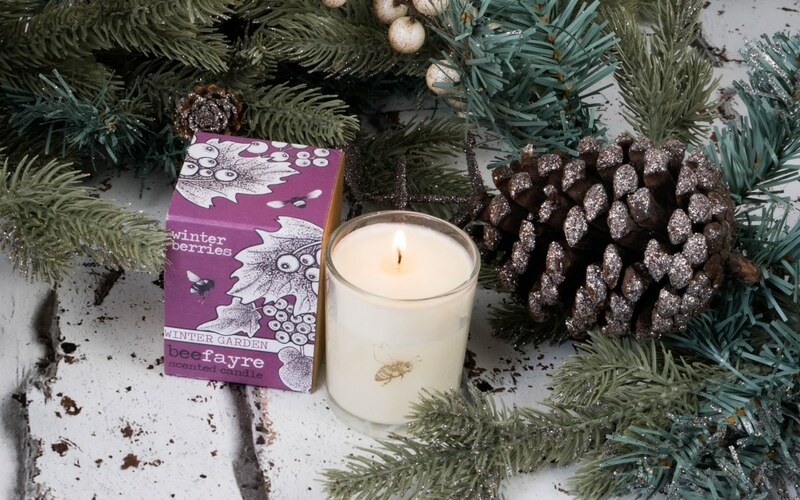 Lighting the candle up in the evenings and snuggling up on the sofa with the smells of winter. 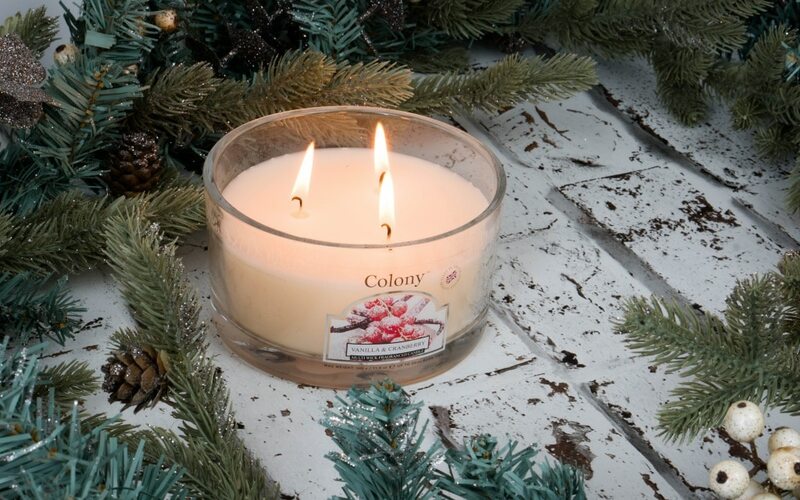 This Colony multi wick candle comes in a variety of festive fragrances, including Vanilla & Cranberry which is the one above. It really does smell lovely and as it lasts 35 hours burning time I am looking forward to many evenings of this smell! Ever since I’ve unwrapped this every person has asked me about this product! 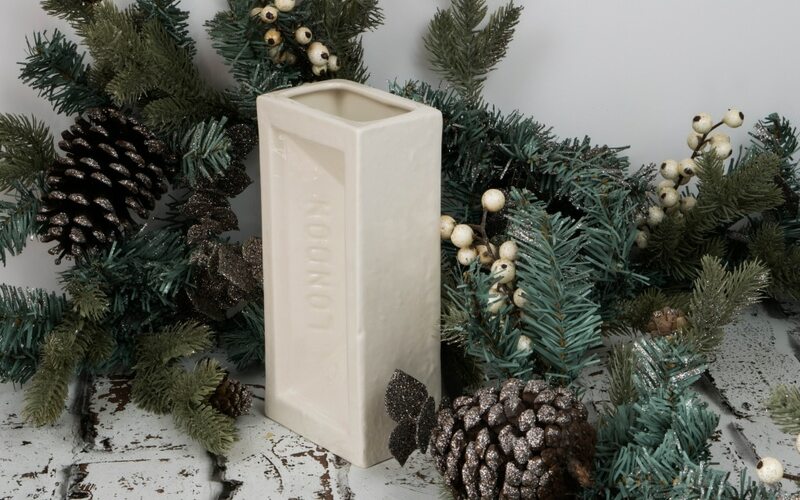 London based design house Stolen Form have redesigned a simple brick into a functional vase! Available in a range of colours to suit your colour scheme, like blue, grey, yellow, raspberry and molten red. I just need someone to buy me some pretty flowers to go in it now! I love a cup of tea and I really do think they taste much nicer in a proper cup! When I saw that Royal Worcester do a big range of designs in the fine bone china mug, I didn’t know which one to pick! But how cute is this little robin all fluffy!! Also offering a two for £19.99 on these as well, I think any hot drink lover would love one of these under the tree. If you’re looking for a more natural product to use or the recipient is making a concious effort to have more pure items in their home, then take a look at the Beefayre range. This candle is made from essential oils, natural plant wax, cruelty-free, vegan-friendly and made in England. With a burn time of 25 hours and only a tiny 90g candle, I was super impressed. I can even smell the essential oils from the candle when it’s not burning! Beefayre has a large range of items to choose from which are all using naturally sourced ingredients too, so I think these would make a lovely gift for someone. Also, 3% of profits go to Bee Conservation. Since having our garden renovated this year I have been on the lookout for an outdoor clock. I wanted it to be big enough to not disappear on the wall, modern and clear to read. 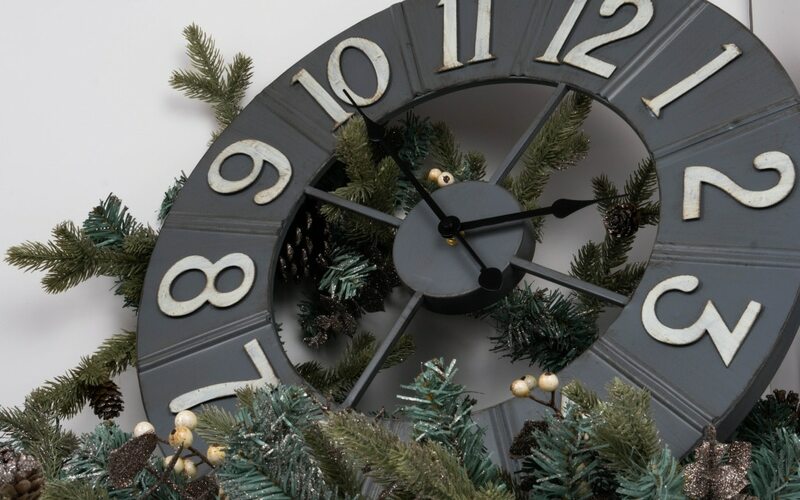 This clock from Hayes Garden World is perfect. It’s full weather resistant and frost proof so perfect for placing outside but it’s also stylish enough to be used indoors as well. Made from metal it’s very sturdy and has a screw hook on the back for easy hanging. 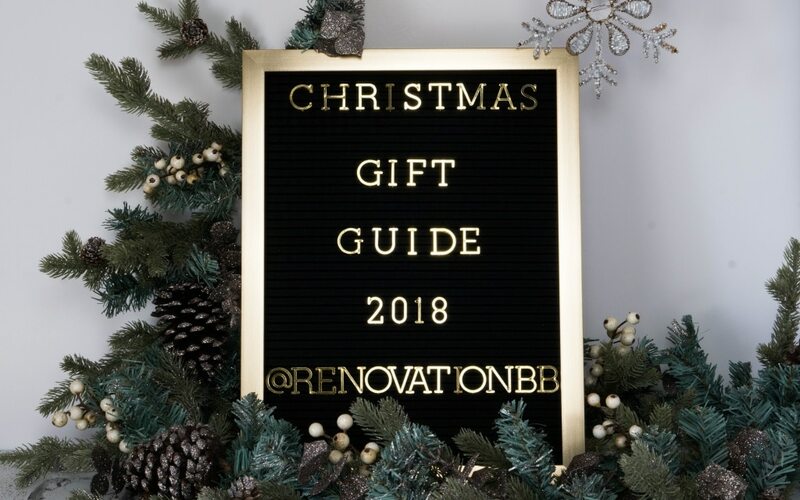 I hope you liked this interiors Christmas gift guide and it gave you some new ideas for presents, or new places to shop as I think all these shops were something unusual and not a shop you first would have thought about. *I received these products to be considered for my interiors Christmas gift guide, I love all these products and would only share ones that I would like to receive myself! I really love some of the items you’ve featured in this post. I’m like you and enjoy finding unique and quirky finds (and love it when people come over and insist on knowing where I found some of my homeware). The brick is a great one naturally, but I also like the candles you’ve chosen (and the scents sound amazing) – you can tell I’m a huge candle fan can’t you?! It has to smell festive at Christmas doesn’t it! I love your selection! 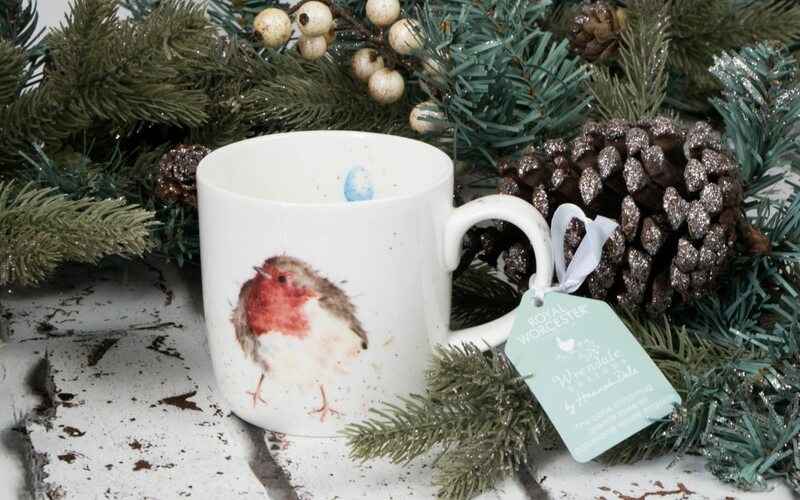 The robin mug is so cute, and I wish we had somewhere to hang a clock like that! Thank you, it’s adorable isn’t it! I can’t believe Christmas is so close. I haven’t really started thinking about presents yet but I love the brick shaped vase and the outdoor clock. The brick has gone down quite well with people as it’s so unusual isn’t it! a brilliant idea isn’t it! 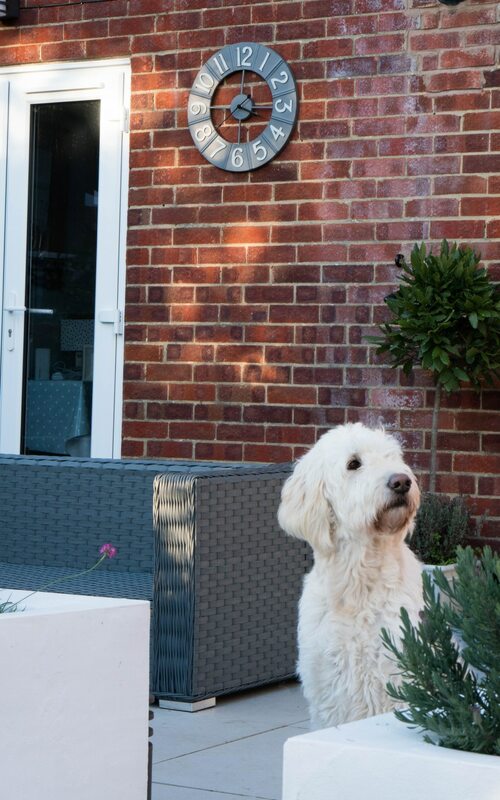 I really like metal clock for the garden – I’ve been looking for something like this and I can think of the perfect place in the garden. However, I adore the brick vase – I pick or buy flowers every week for the house and this would look awesome. thank you for this round up.